What is the process to get bail bonds in Santa Ana or bail bonds in Orange County? Lipstick Bail Bonds will take time to explain and answer any questions you may have throughout the process. In the mean time here are some basic guidelines for working with a bail bondsman in Santa Ana. At first you simply may be shocked that you received a call with a friend or family member being held in jail. Of Course you want to help, but where do you start to get a bail bond? Who can you trust and how much does it cost. Bail is currently required for most Felony crimes. The bail bond is set by a judge at a set rate for each offense. The purpose is to guarantee that suspects will appear on their assigned court date. If a bond is not posted they may spend time in jail and most times judges will give them time served as credit toward any upcoming judgment. Before you receive a call the suspect has been processed in Santa Ana. Charges have been registered the suspect has been fingerprinted, photographed and a background check has been run to look for prior offenses and their belongings have been checked in. Once the booking process is complete they can invoke their right to use a bail bond to gain their freedom. There are 2 options for posting bail. You can post the full amount at court or hire a bail bondsman at a fraction of the cost. This is what most people choose to do. Working with a trustworthy properly insured Bail Bondsman in Santa Ana is important. 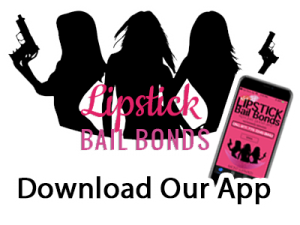 Lipstick Bail Bonds agents are helpful, understand the process and know how to accelerate the process to get your loved one home asap. Can I make payments on a bail bond? Not everyone can afford the full amount so payment plans can typically be worked out according to your financial situation. Don’t be intimidated by the process of obtaining a bail bond. Things are never as bad as they may seem and like a doctor or lawyer we are here to help. We can also guide you through the process and let you know what to expect, make recommendations moving forward before your appearance in court. If you are in need of an affordable reliable bail bondsman in Santa Ana? 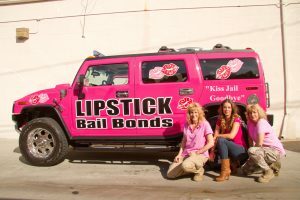 Call Lipstick Bail Bonds and we will be there for you. Hi my name is Robert, and I am reaching out to you because you outside the state I work in so I figured you would be more likely to offer assistance since there is no way we can compete with one another. I run All out Bail Bonds (www.bailbondsmanmn.com) and was curious about some of the regulations you might have in California. Here in MN a bondsman can not offer to write a bond for less then 10%, and they can not incentivize it by offering gift cards or whatever. Is that the same in California? IF you can incentivize it could you give me an idea of what some of the bonding companies out there do. Maybe some of them aren’t considered incentivization back here in MN.